Note that nothing has changed on the Summary Statistics table, although there will be data displayed on the Values Table. Also, nothing has changed on the Lap And Sector Times table. When you select a point on the track map, the results will be exactly the same as when you click on the XY graph. Please note that the marker on the graph may not always appear. 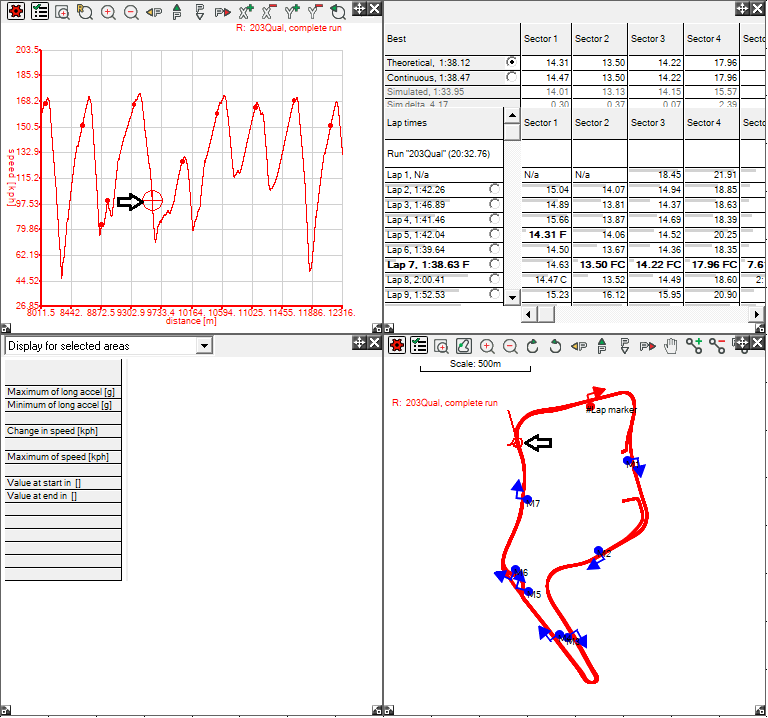 If you cannot see the marker, please check that the Track Map and the XY Graph are displaying the same data, e.g. the same lap. If you have lap one on the XY Graph, and you select a point on the Track Map that is on lap two, then no marker will be displayed on the XY Graph.